Supsystic Digital publication plugin allows you to organize your images, posts, or any HTML and CSS as a magazine, catalog or flipping book. But as a default, all content is organized in the order you upload it. If you want to change its order, we know a perfect way how to do it. What are plugin’s use cases? How to add new content? Be aware that import from PDF and Facebook are the PRO features. How to prepare images before adding them? It’s a good question. The pitfall here is that the size of both images and publication should be proportional to the images size. It means, if that you’ve prepared images with size 600×400 px, choose the same height and width size for your publication or even smaller, but always keep the proportions, e.g. it would be 500×333 px. For Area Width and Height – set the sizes a little more than your publication size. It will give the better look to your Digital Publication. Check these options in the Properties tab. We will add new images from the WP Gallery. After you’ve done this, the Sort by title button will appear. By clicking it, you sort files or images in alphabetical order – from A to Z and conversely. Moreover, you can use your mouse to drag&drop them manually. In the end, press the Create Pages button. How to change the pages’ order? 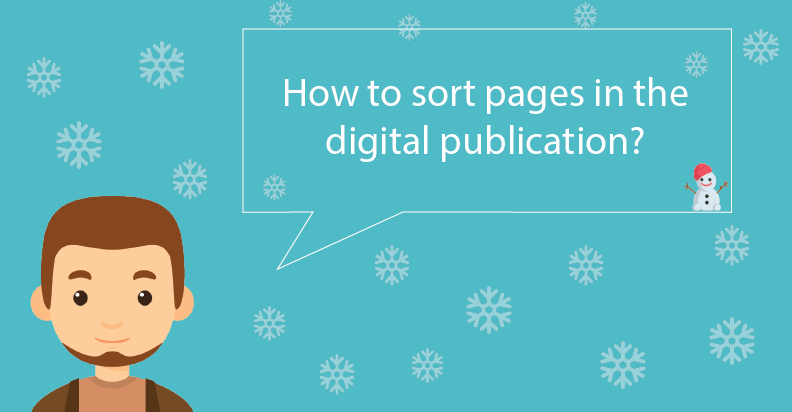 Even when you clicked the Create Pages button, you still have the ability to sort pages. For this, go to All Pages tab, and dragging them manually. So, that’s all. 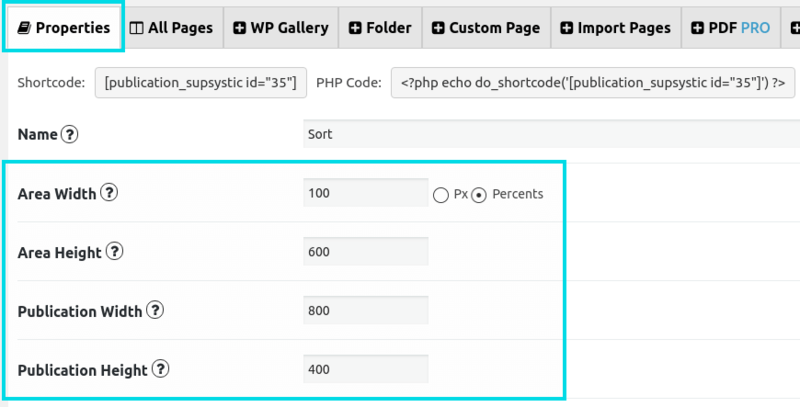 If you want to know more about the Supsystic Digital publication plugin features, you can visit our Documentation page.